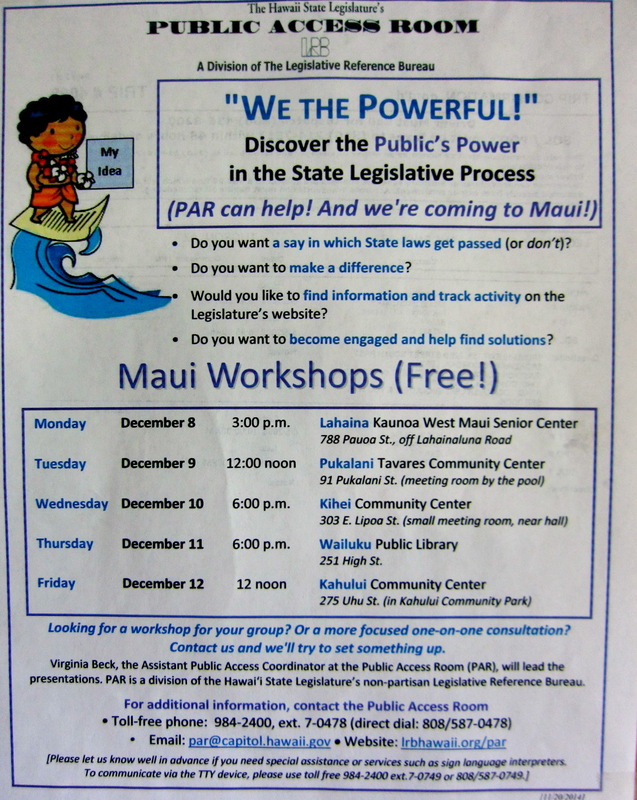 Every December, Public Access Room (PAR) comes to Kihei and numerous other locations throughout the neighbor islands to educate the community about the workings of our State Legislature. KCA has attended a few times over the past several years, as we are still baffled at some of the occurrences happening at the “Ledge.”. 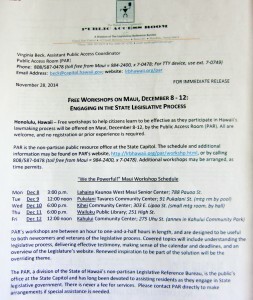 PAR is the non-partisan public resource office at the State Capitol. 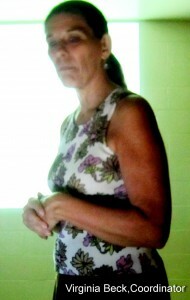 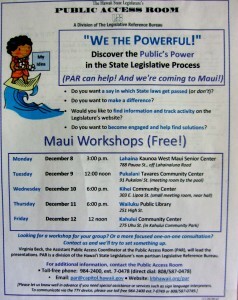 The schedule and additional information may be found on PAR’s website, http://lrbhawaii.org/par/workshp.html, or by calling 808/587-0478 (toll free from Maui = 984-2400, x 7-0478). 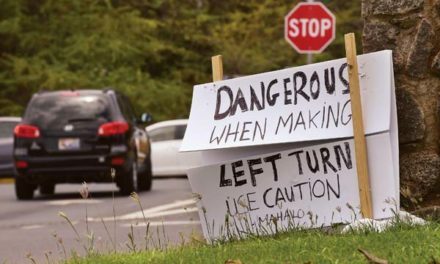 When we attended last year, the turn out was very discouraging, indicating our S Maui residents either already knew all they needed to about the “Ledge” or did not care to know. 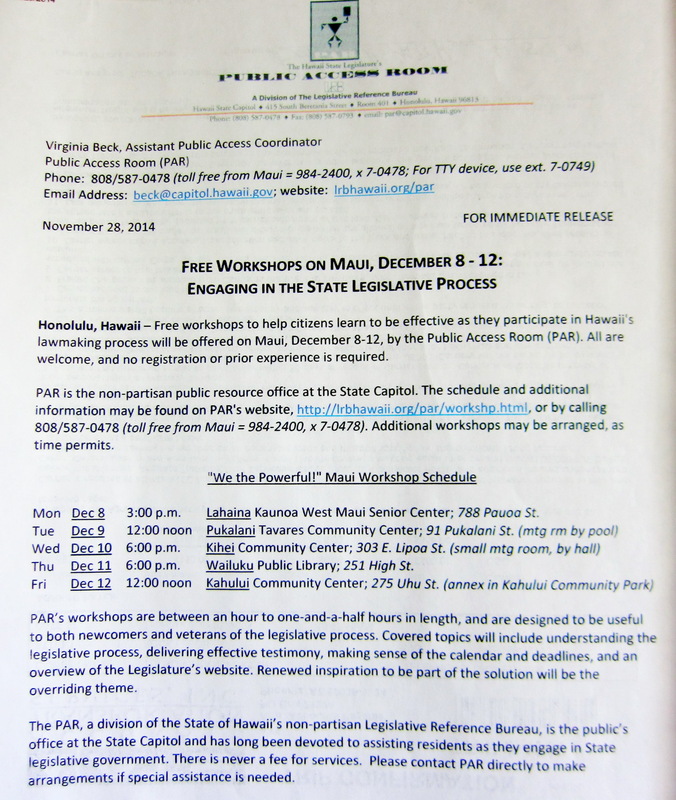 Perhaps the everlasting delay in getting the DOE Kihei High School even started for at least several more years may generate interest in the South Maui Community to attend on Wednesday evening to see what is going on at the with our state legislators.